You are here: Home / CREATE / CB Chat / Are You a Crafty Chick? (Or Dude?) – Exciting News! My Very Educated Mother and I are starting up a Twitter chat! 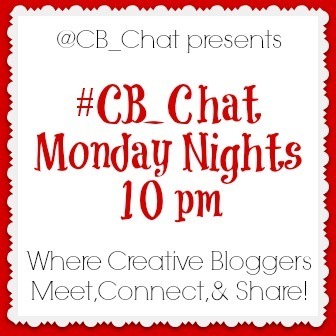 Come join us every Monday evening at 10 pm Eastern (9 Central, 8 Mountain, 7 Pacific) using the hashtag #CB_Chat to connect with other creative bloggers to share ideas, make connections, and enjoy some crafty conversation. Follow your hosts: @mvemother, @creativecynchro, and @CB_Chat to stay up to date on all the #CB_Chat news! Cynchronicity Live Has Moved To Wednesday Nights! It’s Tool Time on Tonight’s Cynchronicity Live!